From the moment you walk in, Bittersweet is an artist’s atelier tousled with blank canvases – plates, glasses, bowls – just waiting to be filled with colors. And like a true atelier, Bittersweet isn’t stuffy; it’s a studio for experimentation and mixed-media explorations. Everything – especially the food – looks like a painting. Bittersweet takes the French art of perfect plating into its next artistic era: impressionism. Head Chef Olav Peterson paints these dishes like lush landscapes, full of brushstrokes and light. And taking a bite is like stepping into Monet’s garden in Giverny. Suddenly it all makes sense. The bar features a list of cleaver “mélanges,” which is actually French for “mixed.” The drinks range from bizarre mixtures to simple pleasures, like fresh juices and liqueurs. These fresh, lush beverages pair perfectly with the menu’s starters. Bittersweet’s food both comes from the restaurant’s garden (check it out on your way into the building), and looks like its own garden, all on one plate. The beautiful charcuterie plate features meats butchered on site and some truely decadent cheeses – all arranged in stunning little nests. 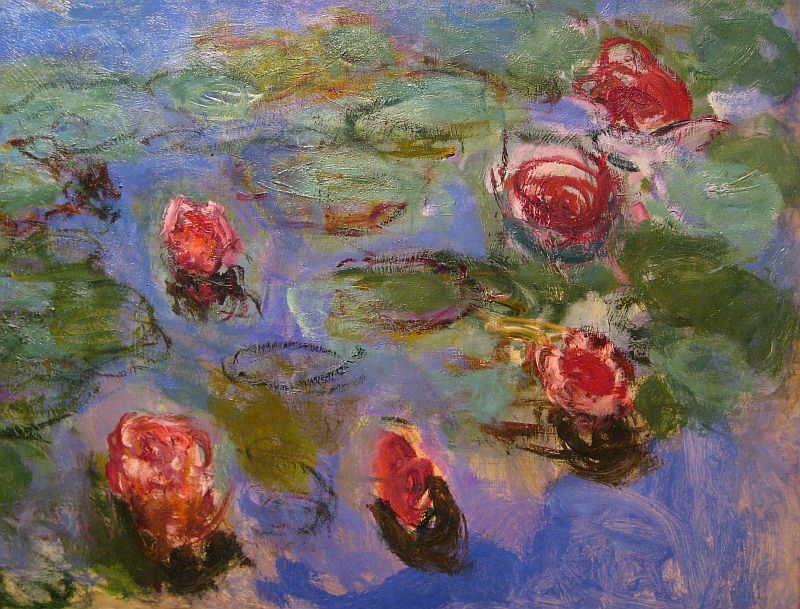 And doesn’t it just look like some of Monet’s water lilies? The similarities are startling. Be also sure to try the McGregor’s Garden, named after the famous Peter Rabbit locale. It’s classic Bittersweet and really looks almost too pretty to eat. But boy does that carrot vinaigrette make you want to lick the plate clean, crushed almond “soil” and all. The Pork Cheek is also a stunning tableau, served in a shallow bowl of dramatically red cranberry jús. Bittersweet’s dinner entrées are true works of art. The duck is somewhere between duck à l’orange and duck à l’orgasmic. Prepared sous-vide and perfectly cooked, it’s accompanied by an untraditional garden of butternut squash, roasted shallots, and smoked golden raisin sauce. Very fall. And while the $26 price tag is certainly not pizza-cheap, I’ve seen entrées in the same range at chains like The Yardhouse. This is not special occasion-only dining! The Lamb Shank is also well worth its price in taste-gasms. Such a different flavor profile than the duck, but entirely as good and oh-so tender. So rich that it’s almost sweet. Bittersweet’s dessert program is just as inventive and playful as their savory selection. Kris Padalino, who heads up the pastry part of the kitchen, presents an entire story with each of her dishes. The most dramatic story is her “Midnight in the Garden of Good and Evil” which comes out in an apothecary jar, filled with a dry-ice smoke. Inside the jar is a veritable fairy garden, which reveals itself through the smoke as the lid is removed. Everything in the jar is edible and delicious, though you almost don’t want to eat it because it is such a gorgeous landscape. So skip the “sipping and painting” class next Monday and try some of these edible canvases with your your girlfriends instead. They’re gorgeous to look at and even better to eat. No apron required. What are your thoughts on plating? Do you prefer more traditional or inventive arrangements? Let me know in the comments! In Denver, believe it or not! The culinary scene here has really exploded! I meant where in Denver, but I see that you added the link to the restaurant. Thank you! Yes! I must have blanked on adding that initially so thank you for your comment – it made me realize something very important was missing! jennagu69 on Is A French Manicure Actually French?